An exhibition on the upcoming EU referendum will open at the People’s History Museum in Manchester in May. The museum plans to commission an artist to build an installation that will illustrate what the EU does, who MEPs are and how they are elected. Visiting schools will learn about the arguments for both leaving and remaining in the EU at the exhibition, and the museum will also collaborate with Dr Caitlin Millazzo, who is an assistant professor in the School of Politics and International Relations at the University of Nottingham, to make sure content presents a balanced view. Visitors to the museum will also have the opportunity to express their opinions on the campaign and leave additional campaign material which will be added to the collection. Dr Chris Burgess, curator at the People’s History Museum, commented, “The physical exhibition would offer a balanced guide to the EU referendum, and will provide a backdrop to discussion, live events and debate. The museum will also run an events programme alongside the exhibition. This will include a major debate on the referendum, in which Discuss Manchester will discuss the arguments for and against leaving the EU in front of a live audience. A selection of high profile campaign leaders from the Yes and No campaigns will also be invited to talk at the museum. 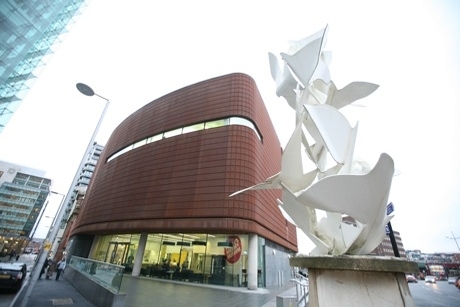 The People’s History Museum is the UK’s national centre for the collection, conservation, interpretation and study of material relating to the history of working people in the UK. Its learning programme is open to pupils from Early Years to Higher Education. Sessions can be organised that focus on everything from Politics and History to Creative Writing and Drama. For more information visit www.phm.org.uk/learning.